On Saturday I wrote about how you can earn Starwood Preferred Guest points – which convert to Marriott Rewards points – when you fly with Emirates, China Eastern and Delta. These deals let you earn Starwood hotel points for spending money on Delta, Emirates and China Eastern flights, and earn airline miles when staying at Starwood hotels. This would be on top of the standard SPG points you would not, NOT instead of. Unfortunately, these offers are being wound down following the takeover of Starwood by Marriott. This is because Marriott has a partnership of its own with United Airlines. The Marriott / United partnership will continue into 2019 and beyond. As the Starwood merger means that many more HFP readers now have Marriott status via a match from Starwood, I thought it was worth looking over the United / Marriott deal again. The United / Marriott partnership is called RewardsPlus and you can find all the details here. If you have United status, you can leverage it into Marriott Rewards and then SPG status. If you are Premier Gold or above with United, you can receive Marriott Gold status. This gives you upgrades (not guaranteed), free internet and 25% bonus Marriott points. Your Marriott Gold will then allow you to claim Starwood Gold. More interestingly, United Premier Silver or higher members are able to transfer up to 50,000 United MileagePlus miles per year into Marriott Rewards points at a 1:1 ratio. You also get a 20% improvement on transfers of Marriott points to United miles and a 10% bonus when you redeem Marriott points for a ‘hotel plus miles’ travel package. If you are a Marriott Rewards Platinum member (which is the situation Head for Points readers are more likely to be in, as I doubt we have many United elites here) you can receive Premier Silver status with United. Don’t get too excited about this. In Star Alliance, Silver status usually only gets you lounge access with the airline which issues your card, and United doesn’t even let you do this! You cannot therefore use this card to get, say, lounge access when flying Lufthansa or Swiss. 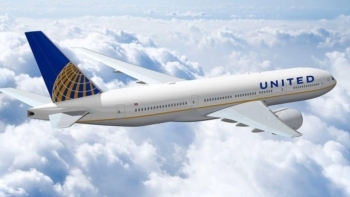 United Premier Silver does get you upgraded to United’s Economy Plus at check-in. However, this would need you to be on a flight with very few Gold or above members on it, as they would have priority. You also get a free checked bag and 25% bonus MileagePlus miles. And, of course, being Premier Silver allows you to transfer your MileagePlus miles into Marriott Rewards at 1:1, up to 50,000 miles per year. This could come in handy if you have the odd Star Alliance flight but do not actively collect with any Star airline. For UK-based Head for Points readers, the most likely scenario is that you will have Marriott Rewards Platinum status – potentially via a SPG status match – and can get United MileagePlus Premier Silver status. Even if you never fly with United, this will allow you to credit occasional Star Alliance flights to MileagePlus and, instead of being stuck with a few useless miles, transfer them to Marriott Rewards at 1:1. You can find out more, and sign up for RewardsPlus, on this special website. I thought the status match from SPG gave Marriott Gold? Or do you mean after August it will be Platinum? Or is there a different “most likely scenario”? It reads like it is based upon current rules, pre-august, as after then there won’t be SPG status as such. What’s wrong with United? My starting point is usually a fairly low expectation. I really doubt we could get marriott platinum after August, since they clearly state that the matched gold would remain gold, unless their programmers couldn’t implement this rule strictly. They might decide not to do that, bit they could if they wanted to. SPG gold requires just 25nights/10stays. Marriott gold requires 50 nights and doesn’t care stays. The only easy way in the world, as far as I know, to get Marriott gold (pre-august) is the JP Morgan Ritz Carlton card, and actually it gives gold only for the first year. Then you need to spend $10k to maintain. After Aug looks like they are not going to offer this anymore. Don’t be too optimistic but be prepared for the negative changes..